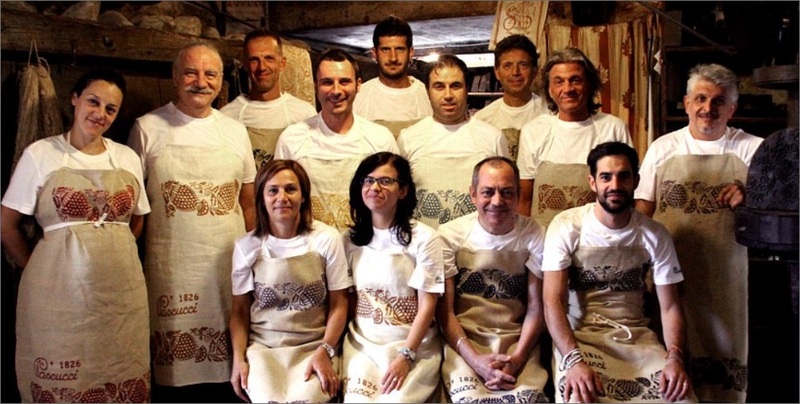 Since 1826, in this workshop in Gambettola, the stunning process of block printing has been revived. Hand-carved wooden blocks, dipped in colour paste, decorate linen fabrics with geometrical patterns, flowers or animals taken from our rich traditional iconographic heritage. The Pascucci family is the oldest witness to this ancient art form: for seven generations it has guarded this craft and brought new life into it with an eye to tradition and an innovative flair. In 1826, in Gambettola, a town in the heart of the Romagna area, the Pascucci family opened its workshop. 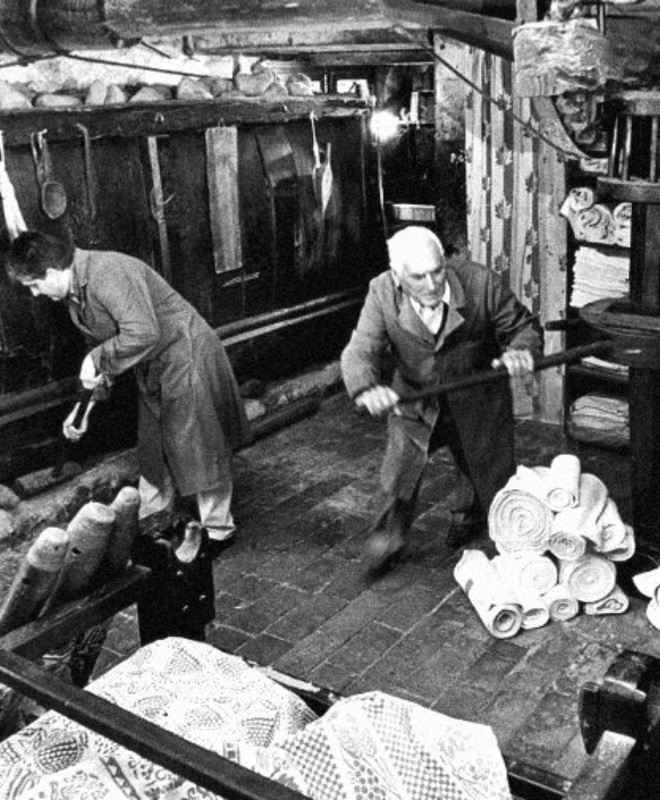 They were a family of dyers who started their own fabric printing business; their workshop was stocked with hemp and linen, and vinegar smell filled the air. The printing designs, taken from embroidery academy collections, were an imitation of embroideries (which were too expensive for that rural society), and they depicted the natural elements of the area. 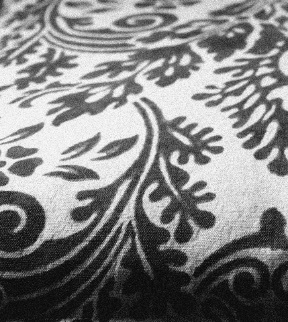 Towards the end of the 19th century, in addition to kitchen linens, printed textiles were used to decorate cattle during fairs: this latter custom allowed the art of block printing to survive. The colour used for printing, which testifies to a deeply rooted local tradition still today, was rust; it was obtained from oxidised scrap iron, a very common material (indeed, Gambettola was called the capital of scrap metal). Nowadays, to cater to modern tastes and needs, the colour palette has broadened, and so have expressive possibilities. Hand-carved blocks made of pear tree wood become the matrices for the creation of printed textiles. Wood carving, in the form required by block printing, is part of the heritage that the family hands down through observation and practice, knowledge of materials and passion: truly an art within an art! Deep-rooted in its local community, the Pascucci family has passed its trade secrets, passion and creativity down through generations. The printing process remains the same still today, although renovated with new colours and designs, partly stemming from the collaboration with some artists who were spellbound by this traditional craft. After the turn of the century, several artists began giving their creations to the Bottega to turn them into prints, thus contributing a little bit more to bridging the gap between this craft and art. New technologies have had a marginal impact on Pascucci’s manufacturing processes. Dyes are still prepared according to an age-old (and secretly kept) recipe, and printing techniques have not surrendered to the hasty convenience offered by assembly lines and automation. Hemp, which had disappeared from our region and has been reintroduced only in recent times, was replaced by linen, an equally natural and resistant fibre. Only ironing is partly carried out with a machine. Indeed, for efficiency reasons it is no longer possible to use the old, huge mangle that still stands out in the workshop: our manufacturing processes have been slightly modernised only insofar as this results in better finished products. 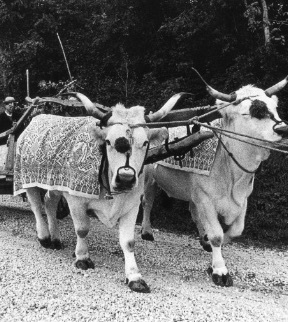 Since 1826 to date, from its small workshop in Gambettola the Pascucci family has disseminated its printed textiles all over the Romagna area through markets and shows, and it eventually crossed not only regional, but also national borders. 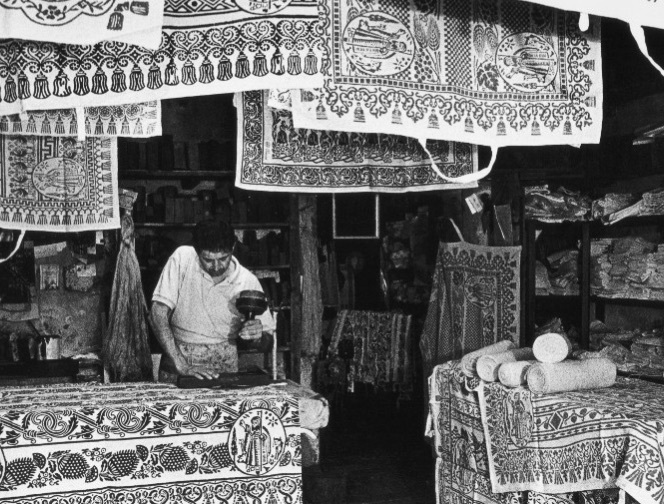 With the genuine beauty of artisan products, hand-printed textiles still retain the flavour of unique objects deep-rooted in their area of origin, but ready to conquer international markets. Thanks to new Google Maps® services, it is now possible to visit the Bottega directly from your home. Over its two centuries of history, old Bottega Pascucci has been awarded several prizes. Many associations have acknowledged the importance of our Bottega from a cultural and historical point of view.